The leading source for targeted, industry-specific news briefs. Medical practices that live and die on the gyrations of Medicare payments might find themselves near death’s door in 2019 if feedback from these organizations is any sign of their viability and longevity. Medicare reimbursements simply may not be cutting it for as many as two-thirds of practices that receive the federal payments. Per responses, Medicare payment rates for 2019 will not cover the basic cost of their delivering care to patients, an MGMA Stat poll points out. 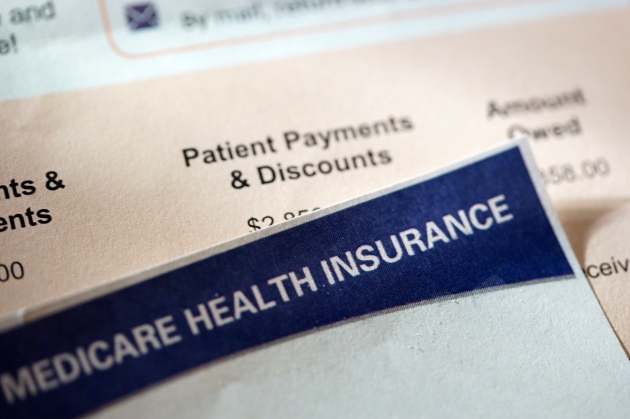 The new poll, conducted recently, found that just a bit more than 15 percent of the 478 respondents to the survey said they expected their practice’s Medicare payment rates would be above what it costs to deliver care to beneficiaries. Meanwhile, only 17 percent of these practice representatives said that they expect the rates will be equal to covering their costs. Given these numbers, that means more than two-thirds of practices don’t expect a surplus — in fact, they are planning for a shortfall. What they’ll try to do is "rely on contracts with private insurance companies covering non-Medicare patients to offset their loss," FierceHealthcare reports. "Medicare fee-for-service can’t be entirely abandoned. Below-cost rates coupled with limited APM [alternative payment model] opportunities won’t sustain the transition to value-based payment and will potentially impact access to care," said Anders Gilberg, the Medical Group Management Association’s senior vice president for government affairs. This news, of course, is not good for practices under a Medicare-for-all healthcare system. Obviously, medical practices can’t afford to provide services on a Medicare-for-all reimbursement model, and most of these care organizations argue that as Medicare rates go lower, those patients often require more care. The Medicare "population is more complex, more sickly and has comorbidities that you don't see elsewhere. It takes more resources to manage their conditions," said one of the survey respondents quoted in an MGMA commentary. Under the payment system put in place by the Medicare Access and CHIP Reauthorization Act (MACRA), Medicare fee-for-service payments are not keeping up with inflation or the cost of running a physician practice, MGMA officials said. "As medical practices transition toward a value-based payment environment, fee-for-service does not need to be abandoned entirely, but it does need to be updated appropriately," they wrote. "Even if a payment system provides the right incentives, if the underlying reimbursement rates are too low, the system is not sustainable for physicians to continue providing high-value care." Under the Merit-based Incentive Payment System (MIPS), the track by which most practices participate, even those with the highest performance scores only earned a 1.88 percent positive adjustment for the first year of the program, which is less than the 22 percent originally talked about as the high range for possible payments. On Nov. 1, 2018, the Centers for Medicare & Medicaid Services (CMS) issued its final rule that included updates to payment policies, payment rates and quality provisions for services furnished under the Medicare Physician Fee Schedule (PFS). Per CMS, the final rule "is one of several final rules that reflect a broader Administration-wide strategy to create a healthcare system that results in better accessibility, quality, affordability, empowerment and innovation." To read more about the full rule changes affecting practices, view the CMS release announcing the changes. The devil is in the details, of course, and there are a number of substantive details to become familiar with. Scott E. Rupp is a writer and an award-winning journalist focused on healthcare technology. He has worked as a public relations executive for a major electronic health record/practice management vendor, and he currently manages his own agency, millerrupp. In addition to writing for a variety of publications, Scott also offers his insights on healthcare technology and its leaders on his site, Electronic Health Reporter. Are independent pharmacies really that profitable? works of MultiView, Inc. All Rights Reserved. Any redistribution or reproduction of any materials herein is strictly prohibited.